Diwali Mobile Recharge Bonus Offer by RechargeFreak | Free Pc to Phone Calls, Free Voip Calls to India International ! Prepaid mobile online recharge has become so much common these days. If you google about "online recharge" you will find more than 50 websites offering mobile recharge facility. The good part is that not only you can recharge your mobile but you will also get some additional benefits. 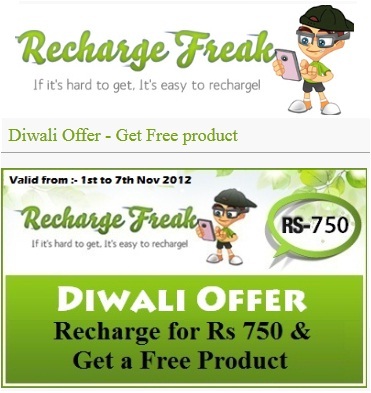 These additional benefits vary like online discount coupons, food vouchers, some free gifts, free points to redeem them for mobile recharge itself etc..
Today we will be talking about one such limited time offer by RechargeFreak.com (launched on the occasion of Diwali). Rechargefreak is offering a free gift if you recharge your mobile worth Rs 750 or more. The only condition is that this recharge needs to be done from same account (but can be as many transaction as you like). Please note that this is a limited time offer so you need to act fast (valid till 7th November only). 1. Click here to visit rechargefreak offer page. 3. Recharge your account with Rs 750 or more (using this single account). You can do as many transactions as you like. 4. Take away your free gift. 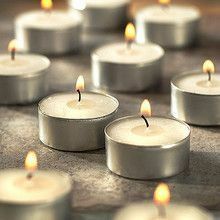 What's this Free Gift : 20 Tealight Absolutely Free. 1. This offer start from 1st Nov to 7th Nov 2012. All recharge(s) done during this period will be consider in this offer. 2. To avail the offer person has to do successful Recharges (Mobile/DTH/Datacard) of total worth Rs 750/- or above from one RechargeFreak account. 4. Old wallets points can’t be use in this offer. You can use old wallet points to buy any product from our Freak store. 5. Need to pay Rs 19 shipping charge only. 6. No other offer will be combined with this offer. 7. Rechargefreak has a right to make amendments in the offer. 8. Only 1 product can be redeem per account under this offer even if you have more wallet points in current month. 9. Once you reach this offer then write an email at support@rechargefreak.com to avail this offer. Write subject line: Diwali Offer - (account email address). 10. Last Date to avail this offer is 7th Nov 2012.